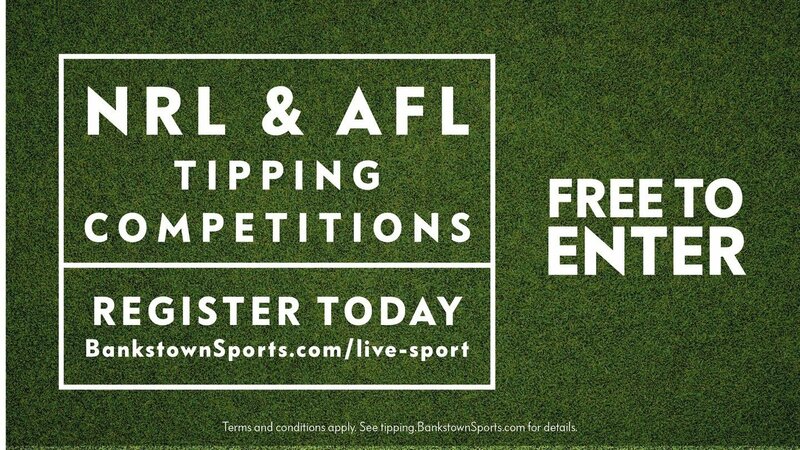 Home Blog Join the Bankstown Sports Footy Tipping Comp! Join the Bankstown Sports Footy Tipping Comp! Bankstown Sports Club tipping is back! Get your family, friends or office workmates involved in our FREE NRL and AFL comps and go head to head each week as you strive for that perfect round. We’ve made it super easy for you to get your tips in too. You can enter your choices online, or come into the club to enter your picks and receive bonus points if you get a perfect round. Why don’t you visit Basement Brewhouse or our Sports Lounge and watch every game LIVE and FREE! Book yourself a booth, grab a burger and a beer and settle in for a day, or night of live sport. Entry is open to Australian residents aged 18 years and over. The competition ends at 5pm on the day the first game kicks off in the final round of the regular season.